Fine. No Jacket. 305pp. 2012. 8vo. Large sized. First edition thus in the Folio Society format. Burgundy endpapers. Bound in buckram cloth-with gilt embossed maroon spine-the front board blocked with an ornate 'arabic' style design by Joe McLaren. A near fine or fine copy in near fine slipcase. A super copy. Very Good. No Dj. pp. xvi 3 293. paperback edition. 8vo. New. Trade paperback (US). Glued binding. 293 p. Contains: Maps. Audience: General/trade. Very good. Trade paperback (US). Glued binding. 293 p. Contains: Maps. Audience: General/trade. Like new. New. 100% Money Back Guarantee. Brand New, Perfect Condition. We offer expedited shipping to all US locations. Over 3, 000, 000 happy customers. Trade paperback (US). Glued binding. 293 p. Contains: Maps. Fine. 100% Money Back Guarantee. Brand New, Perfect Condition. We offer expedited shipping to all US locations. Over 3, 000, 000 happy customers. Trade paperback (US). Glued binding. 293 p. Contains: Maps. 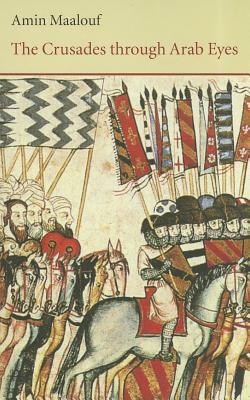 The crusades have long been taught as a European centered subject. Maalouf's discussion of the impact and the opinion of the locals shows a nice alternative. It's almost written like a novel rather than a history book, so it flows a bit more nicely than many books. Great for Islamic or European history students.